VelvetCase, a made-to-order jewellery company in Mumbai, is disrupting the manner in which India satisfies its voracious appetite for gold. ISBInsight talked to Dr Nupur Pavan Bang about the managerial takeaways and her experience in co-authoring the case with Professor Kurian Vikram. ISBInsight: What was unique about VelvetCase, a made-to-order fine jewellery company, that got you interested in writing a case on them? Dr Nupur Pavan Bang: Traditionally, people go to the jewellery store or the local jeweller with whom they are comfortable. They look at the pieces that are available in the store and buy the product. On the other hand, VelvetCase decided to make customised designs for people within their budget. They allowed customers to design the jewellery themselves. Second, the value of the jewellery is so high, people would not traditionally buy jewellery online. But VelvetCase tried to change that mindset. Finally, in 2013, the Indian Government had raised the import duty on gold from 4% to 10% during the year. Gold prices were very high, contributing to India’s high current account deficit (CAD). VelvetCase promoter Mr. Kapil Hetamsaria had a good proposition where popularising low karat gold would help bring down the CAD to some extent while also catering to the Indian market’s love for jewellery. VelvetCase, given that their offering was different from traditional jewellery stores, had their task cut out to change consumer mindset about purchasing low karat gold. Could you share some details about their business model? In jewellery stores, the business model is generally “product forward,” enabling the customers to choose from the pieces already at the store. But in VelvetCase, it is a consumer backed business model. VelvetCase wanted customers to wear jewellery that will suit their personal style. 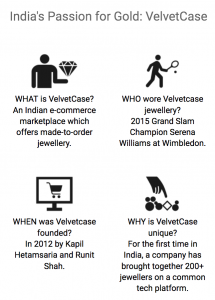 VelvetCase also had the first mover advantage in the online jewellery website sector. In India, the closest competitor was Caratlane, a Tanishq partner. But the other online portals did not offer much customisation. VelvetCase went a step further and had a team speak to the customer to understand the purpose of jewellery purchase. For example, a customer wanted to buy a solitaire but was sceptical about the resale value. The VelvetCase team advised her to not make the purchase only for resale as a solitaire’s value is derived from wearing it for daily use and not for re-sale purposes. VelvetCase worked closely with the customer to understand the purchase objective. Customers could not physically try on the inventory in an online store. Therefore, VelvetCase first built mechanisms to evoke strong trust from the customers, such as 100% certified products from internationally reputed third-party labs and a 30-day return policy. Due to this, they not only increased their customer base but also had a 40% return customer base. They created an augmented reality feature so that buyers could try on high value products. For example, to buy a ring, you could take a picture of your hand and upload it on the online platform, the ring would then come up on the finger with the help of augmented reality. The use of cutting-edge technology and high imaging made this possible. A product video on the website demonstrated how a customised completed design would look on the customer. And there was great breath of product design, with over 200 designers working with VelvetCase. A final factor was VelvetCase’s global reach, with English and Hindi interaction options and prices listed in Indian rupee and US dollars. To date, they offer services in US, UK, Singapore and India. What are the unique features of the demand for gold in India that make it the largest consumer of gold in the world? In India, gold as an asset class ranks much lower in the reasons why people buy gold. One main reason why people buy gold is for weddings or for religious purposes. Gold is considered an auspicious metal and a symbol of religious purity. In Hindu tradition, it is recommended to wear gold on certain occasions such as Dhanteras. Even if the price of gold goes up, people do not compromise on buying gold jewellery on these festivals. Second, Indian marriages are great demand drivers for gold jewellery. From as early as the birth of a child, parents start collecting jewellery for the eventual marriage of the child. If it’s a boy, then it will be for the would-be daughter-in-law. Parents hold jewellery as a form of economic security they are giving to the child. It is considered as a last resort in terms of personal financial crisis. Also, it reflects economic status. What inferences arose from the case with regards to gold as an asset? Gold is an asset class because it is a global currency. You can buy and sell gold in any part of the world without losing its value. Historically, gold has given good returns to the investors. It is also seen as a good hedge against inflation. 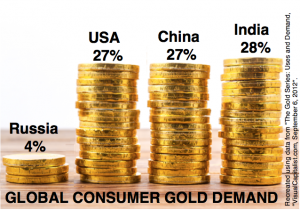 In India, almost 70% of the gold demand is in the rural markets. In these markets, it is very important to have an asset that can be easily sold or mortgaged to take care of urgent needs such as healthcare or buying irrigation equipment. In such cases, gold acts as an easily convertible asset into cash. You can find a pawnbroker in any corner of the country, even the remotest of regions. This option gives people an ability to finance their needs in an emergency. However, VelvetCase is still struggling with the rural market. There are a few challenges here. One, availability of technology: almost everyone in India has a mobile phone, but they may not have access to a smart phone or high-speed Internet which will help them to use the features like augmented reality. Second, the mindset: it is easier to convince an urban buyer to go online and buy jewellery of high-value. But it is very difficult to convince a rural buyer, who may not even shop on Amazon or Flipkart, to buy a piece of jewellery online. The touch and feel mindset may still exist. Third, the supply chain: while the delivery logistics might be well-developed in the urban areas and Tier 2 or Tier 3 cities, they may not be well developed in remote places. Given that these are very high value transactions, the products cannot be sent by any courier. One conclusion arising from class discussions was that VelvetCase should tap into the rural market in the future to increase their revenues, as they want to reach their target of USD 100 million (approximately INR 7 billion) in the next couple of years. Could you discuss this case’s relevance for business practitioners, whether from an online retail, investment or consumer psychology perspective? There is a huge consumer mindset change already being witnessed. Previously, people would not even buy vegetables without feeling them. Today, they are willing to buy vegetables online apart from books, clothes and electronics. It is just a matter of time before more people start to believe in buying jewellery online too. VelvetCase offers a reasonable price comparison to brick-and-mortar stores as they do not carry any inventory. They customise jewellery based on orders and import gold, gems and other jewellery components accordingly. They do not have the expenses of a brick-and-mortar store. Hence, they can sell jewellery at a more reasonable price. Plus, they take care of the trust factor through certification, a lifelong exchange policy and 30-day return policy with no questions asked. With these features, it is just a matter of time before people start exploring and buying higher priced jewellery more frequently on the online marketplace. So, this is a trend worth noting. Especially if you look at the segment of working women between the age group of 23-45, they may not have time to go to different stores and try out pieces. They might prefer going online to a portal like a VelvetCase where the piece comes home, and they can return it if they don’t like it. What were the unexpected takeaways in classroom discussions of this case study? One common question was about funding. Kapil Hetamsaria is an entrepreneur and the idea that he had in 2012 was very new. The students wanted to know how he funded the startup. Initially Kapil Hetamsaria and Runit Shah, the co-founders, started with their own savings. They were able to get some funding subsequently. They raised about USD 1.1 million (approximately INR 70 million) in November 2014 and later in the second round of funding they got USD 1.5 million (approximately INR 105 million). Students were also interested to know about high-ticket jewellery sales. It is one thing to buy jewellery worth INR 10,000 or INR 8,000 online. However, it is unheard of that customers would shop for their entire wedding jewellery online. VelvetCase actually made a record of sorts when they received and delivered a single order of ₹1.42 billion. The students found that quite unbelievable. With innovation and persistence comes recognition. Due to the innovative business model and a laser focused approach towards customer satisfaction, VelvetCase is building a profitable, scalable and capital efficient business for the long term. The company has been awarded as the “best ecommerce company in jewellery” three years in a row by India’s largest trade body – the Gems & Jewellery Export Promotion Council, Government of India (GJEPC). The large, fragmented jewellery industry is ripe for change with entrepreneurs like Kapil Hetamsaria leading the charge driven by technology. 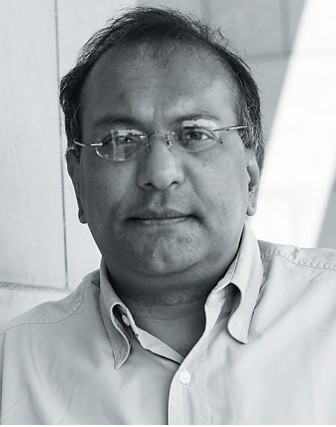 Dr Vikram Kuriyan is Director of the Investment Laboratory and Clinical Professor of Finance at ISB. 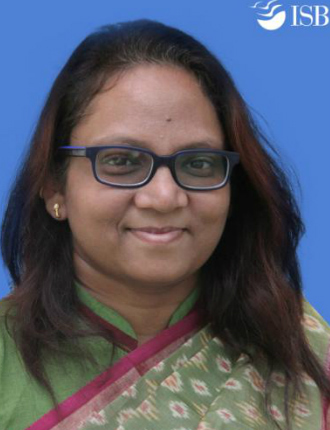 Dr Nupur Pavan Bang is Associate Director, Thomas Schmidheiny Centre for Family Enterprise at ISB. Nikhila Chigurupati is a Content Associate at the Centre for Learning and Management Practice at ISB.